As you can see from the Ausangate lodge trek post and video, our trek along the Camino del Apu Ausangate was full of natural and cultural highs. For many people, the spectacular landscapes and isolated Andean villages are reason enough to do the trek. 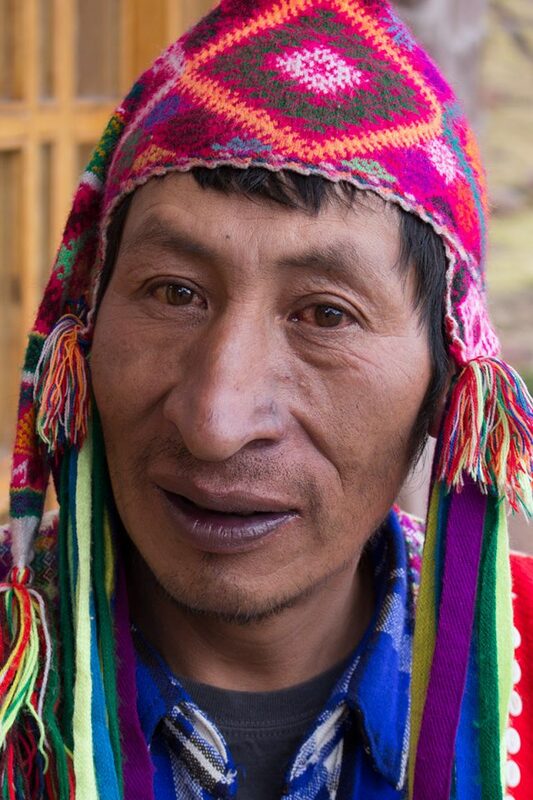 But we also wanted to stop and reflect a bit on the unique relationship between Andean Lodges and the communities of Chillca and Osefina which greatly benefit from these treks. 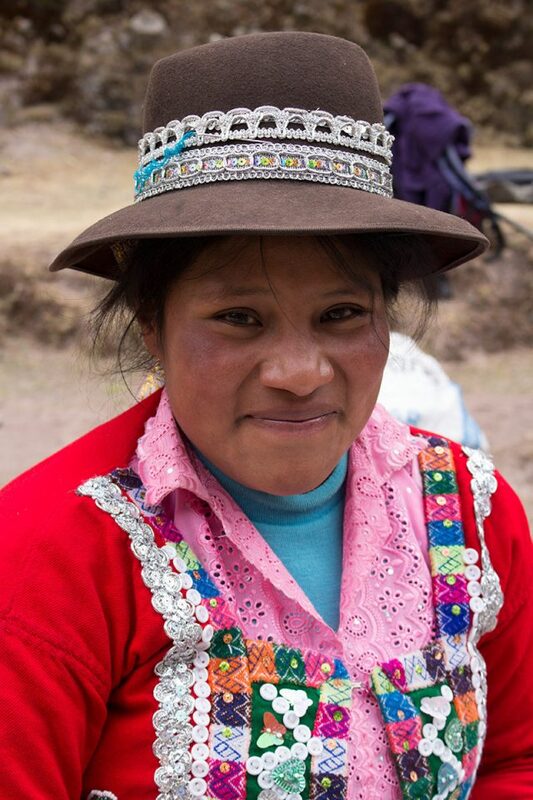 In this partnership, the communities of Chillca and Osefina have a 20 percent stake in Andean Lodges. In addition, they receive a payment for each trekker that enters the area. Moreover, lodge employees, llama drivers, horsemen and cooking staff are all from local villages. 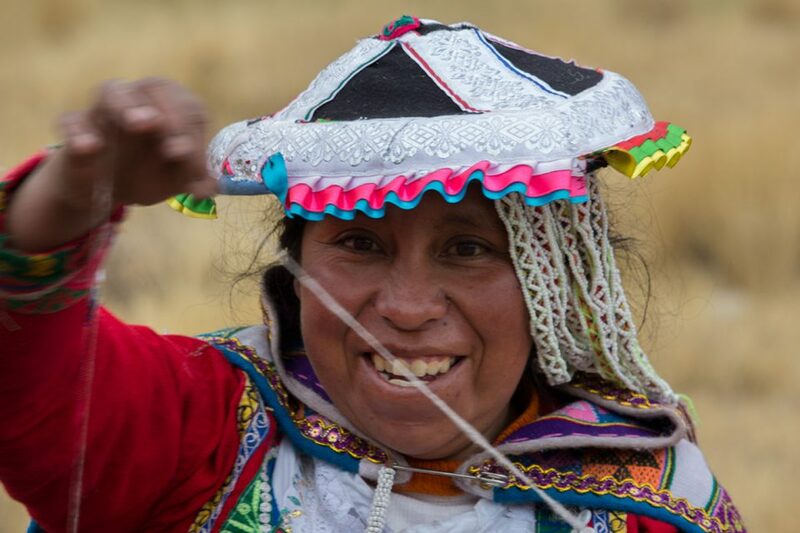 To ensure quality, many staff members have been sent to Cusco to be trained. In fact, the cooking staff was trained at Casa Andina in Cusco, a high-end Peruvian hotel chain we worked with on several occasions. Many of the Andean Lodges employees are rotated on each trek to increase the number of families who benefit from this arrangement. 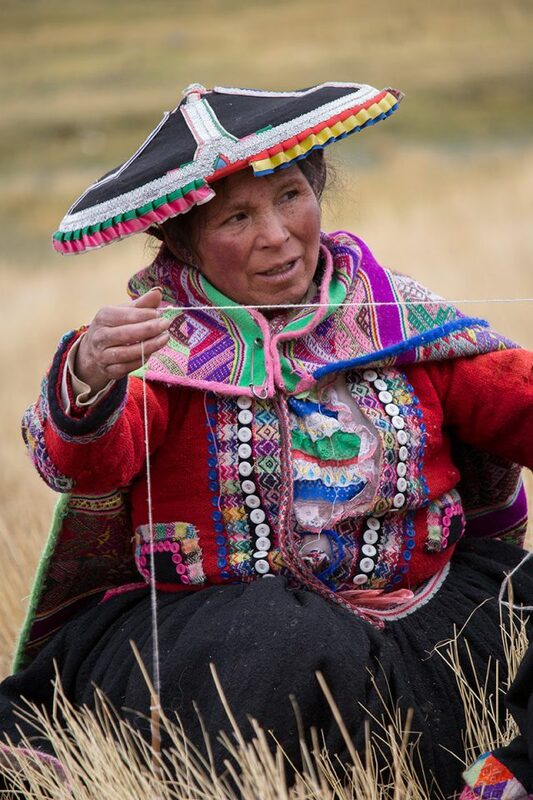 As we mentioned in our Ausangate Lodge Trek post, at one point during the trek, local women come to the lodge to demonstrate spinning and weaving techniques and sell their goods, another great source of income. Again, these weaving encounters are rotated between villages to maximize the benefit to local families. It’s also way cooler to buy a weaving in the shadow of a snow-capped mountain than in a tourist market, isn’t it? 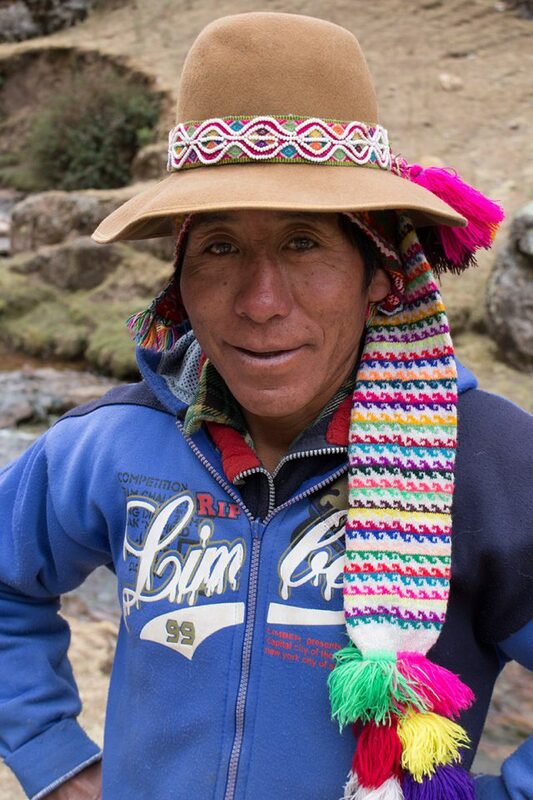 The partnership with Chillca and Osefina is what gives Andean Lodges the right to construct their lodges as well as to lead treks through community grazing lands and access the unique landscapes around Vinicunca, the rainbow mountain. No other trekking companies are currently permitted to run tours in the area. The Andean Lodges experiment is yet another interesting model which allows native communities to benefit from tourism. To put faces to the project, we’re posting a selection of pictures of local workers who made our trek possible. These are the faces of our Ausangate experience. When to Go – Best time for the Ausangate lodge trek is May through September, with April and October being the shoulder seasons. Book Your Trip – We highly recommend that you book the Ausangate lodge trek in advance. 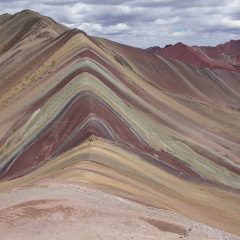 You can either contact Andean Lodges to ask for their rates and availability, or you can book this 5-day trek directly on Viator. Accommodation – Most visitors stay in vibrant Cusco or relaxed Ollantaytambo before or after their Ausangate lodge trek. Both towns are a great base for exploring the gorgeous Sacred Valley; in addition, they have plenty of accommodation options. To find great hotel deals, check out Hotelscombined.com, a site which offers the best deals across numerous top hotel booking sites. Guidebooks – We normally travel with a Lonely Planet guide book. During our six months in Peru, we used the Lonely Planet Peru guidebook and quite liked it. It’s great for cultural and historical info, hiking tours, maps, itineraries, and also includes highlights such as Lake Titicaca, the Peruvian Amazon, the Salkantay trek, Machu Picchu, Colca Canyon, and many others. For a more visual guidebook, we recommend the DK Eyewitness Travel Guide: Peru . The guidebooks can be conveniently purchased on Amazon. Travel Gear – One piece of equipment we highly recommend for exploring Southern Peru is an action camera such as the GoPro to capture everything on film. We also recommend a comfortable pair of hiking socks and good trekking poles ; they will be one of your best investments for your knees and back. And since you will be trekking with poles, a GoPro head strap may be useful. Disclosure: While doing the Ausangate trek, we were guests of Andean Lodges. However, all of the opinions expressed here are our own. In addition, the article contains links that help us earn a small commission at no extra cost to you. Thank you for your support! These people are so beautiful. It’s good to know how local people benefit from tourism industry, as The Andean Lodges seem to manage to do quite well. Love the expressions of the locals as such is often proves to be one of the highlights of any travels. This post makes me feel a little better about the tourist industry. But are they paid well? Honestly, I don’t really know how well they are paid. There were several comments that led me to believe they were getting what they considered to be good wages. Many people seemed eager to work for Andean Lodges. And I also got the sense that they perceived the lodge work to be easier than trying to make a living from raising alpacas or whatever other opportunities might exist in their villages. From my interaction with Tio Mario, who I mention in the posts, he appeared to be VERY proud of his job, so that leads me to believe the wages are fair. 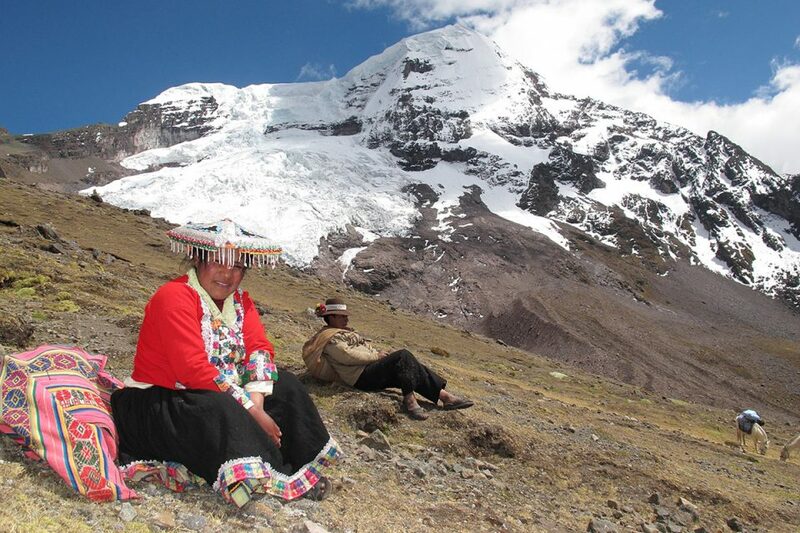 Do all the people wear traditional clothing in Ausangate? 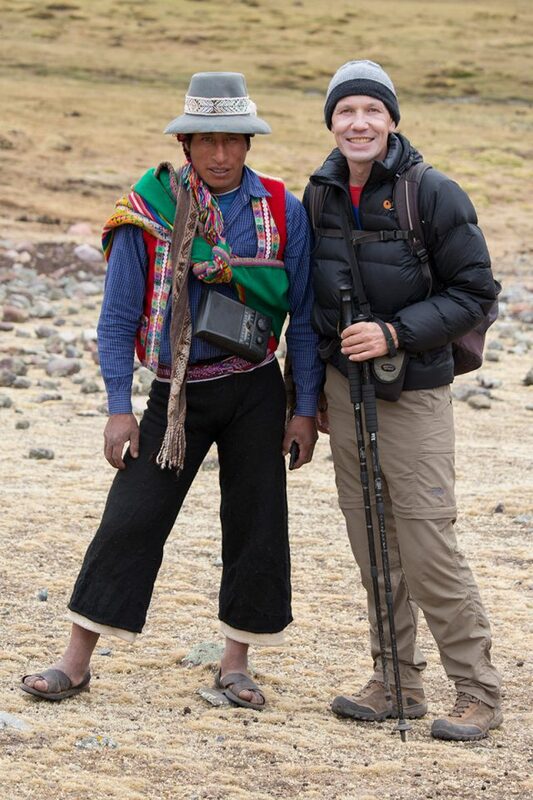 Many of the places I visited in Peru the people wore normal clothes. Most of the women we saw (and many of the men) wore traditional clothing in the villages along the trek as well as in villages along higher sections of the road leading to the trek starting point. 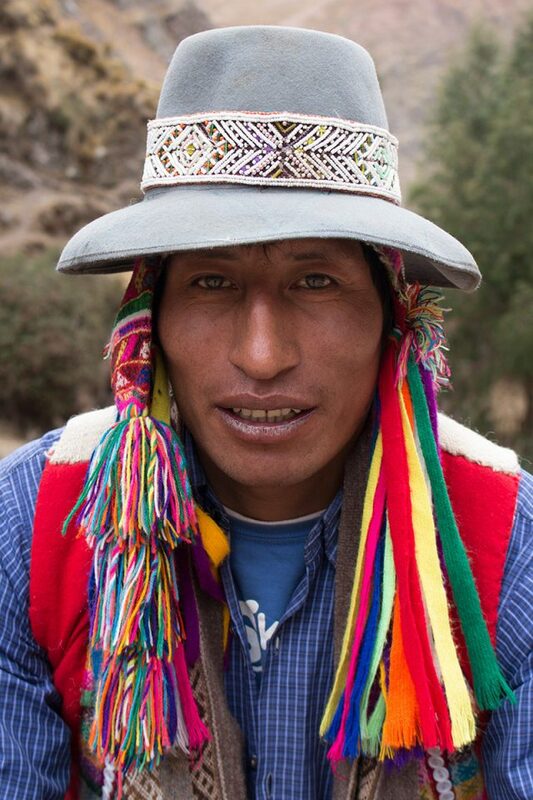 In the Cuzco region, clothing seemed to be directly related to altitude. I found your pictures on Instagram under #adventure. You really have had some amazing adventures. Is there a way to find all of your trek posts? The best way to explore our adventures is to browse our Adventure category. We have also been talking about making a trekking page. Hopefully, we can put that together in the near future. I took the 5day/4night Camino del Ausangate trip in April of 2014. I can’t recommend it enough. I did a similar one In 1989. This Andean Lodges one offers an experience of a lifetime. I hope to go again! I can’t recommend it highly enough. You will not regret your time here! Book your Ausangate lodge trek! The cozy Hostal El Grial is located in the quirky San Blas neighborhood. All private rooms come with bathrooms and individual touches. The gorgeous Belmond Hotel Monasterio is a 400-year-old monastery turned luxury hotel in the center of Cusco. Check out all the hotels and lodges in the Sacred Valley's most vibrant city.